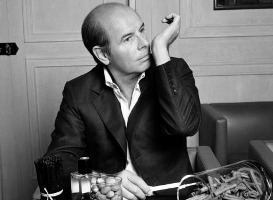 Jacques Polge, house perfumer at Chanel since 1978, will be retiring at some unspecified date. Chanel has announced that he will be replaced by his son, perfumer Olivier Polge, who has been at International Flavors & Fragrances since 1998. Olivier Polge will join Chanel this fall, where he will work with Jacques Polge and perfumer Christopher Sheldrake, who has been at Chanel since 2005. To Make his Mark… Olivier needs to Compose a NEW Chanel Scent that really Says Something, Ya Know! Make his mark like his Father has with scents like Coco and Allure! and the MARVELLOUS Les Exclusifs… Maybe relaunch some of those old Masterpieces… No. 44 anyone? The father has done so many great perfumes, and the son already has an impressive list, as well. I have to admit I did not focus on the fact that realize they were two different people. That’s embarrassing! There isn’t more than one Duchaufour, is there? That would explain how he manages to be everywhere. LOL – there would need to be 4 or 5 Duchaufours! Agree! The other day I was thinking, am I drunk, why am I seing double, is this Duchaufour again? Too funny. I was just reading the announcement for the new Penhaligon’s scent and thought, “isn’t Duchaufour L’Artisan’s nose? I wonder if he left them?” Turns out he’s just the world’s most efficient man.